* This lecture was delivered as a keynote in 2012 at the Politics of Contemporary Fantasy conference at the University of Wurzburg, Germany. It revisits main ideas I explored in my 2008 book, Tolkien, Race, and Cultural History, and adds some new points. I am releasing this today to celebrate the 10th anniversary of my book and to offer readers the gist of my approach to Tolkien and race, a subject that keeps on appearing in the media. Why are there evaluative rankings in Middle-earth, like the Elves, who are ‘higher’ beings than Men, and the Númenóreans, who are more ‘noble’ than other Men? 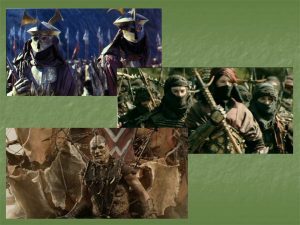 Why are the Men allied to the forces of good (Rohirrim, Gondorians, etc) generally fair-skinned, while the evil Men (Southrons, Easterlings, Haradrim, etc) are dark-skinned? Why are the Orcs invariably described as slant-eyed, swarthy and sallow-skinned? 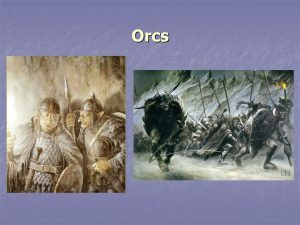 Did the Germanic mythology that informs Tolkien’s mythopoeia lead to the portrayal of the heroic characters as white ‘Aryan’ types? Why have neo-fascist and neo-Nazi organizations endorsed The Lord of the Rings? 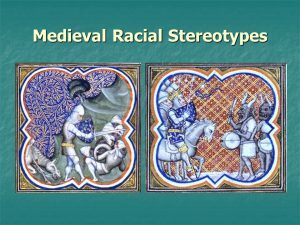 There is a great deal of scholarly work that approaches these questions in terms of medievalism, or gives it a positive spin by arguing for Tolkien’s multiculturalism. However, the most vocal writers who have addressed these questions are academics and journalists accusing Tolkien of racism and racial prejudice. The cases of John Yatt (2002), writing for The Guardian and Dr. Stephen Shapiro of the University of Warwick, who was interviewed for The Scotsman (Reynolds and Stewart, 2002) made headlines and are still very much discussed in internet forums and online fan communities. There was nothing wrong essentially in their lingering against counsel… But they wanted to have their cake without eating it. They wanted the peace and bliss and perfect memory of ‘The West’, and yet to remain on the ordinary earth where their prestige as the highest people, above wild Elves, dwarves, and Men, was greater than at the bottom of the hierarchy of Valinor. Starting from this clear acknowledgment of a hierarchical secondary world, especially an invented world that is largely medieval in inspiration and setting, the validity of the ‘Great Chain of Being’, reflecting the medieval world view of cosmic hierarchy, is hardly surprising. 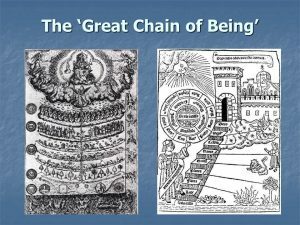 The medieval ‘Great Chain of Being’ was a powerful visual metaphor that represented a divinely planned hierarchical order, ranking all forms of life according to their proportion of ‘spirit’ and ‘matter’. The more ‘spirit’ and less ‘matter’ a form of life contained, the higher it was placed on the chain. Expectedly God himself was at the top of the chain, followed by the angels, men, animals, and finally plants and stones. That Tolkien conceived Middle-earth in this ‘medieval’ hierarchical style is evident from one of his early linguistic manuscripts, edited posthumously and published in the journal Parma Eldalamberon. In the document known as ‘Early Qenya Fragments’, Tolkien presents his ‘hierarchical reordering of the seven categories of beings’ of the mythology (Early Qenya Fragments, p. 7): the Valar and their folk at the top, followed by the Fays (later to become the Maiar), then the Elves and Fairies (at that stage of the mythology these two terms were used interchangeably) and the Children of Men ‘who thus occupy the middle place in the seven orders’ (Early Qenya Fragments, p. 10). The three last categories are the ‘Earthlings’ (which includes the Dwarves, who at that point were an evil people), the ‘Beasts & Creatures’ (which points to the animal world) and finally the ‘Monsters’ including the creatures of Morgoth, comprising mainly Orcs and demons (Early Qenya Fragments, p. 10). As with the medieval cosmic hierarchy, it is clear that Tolkien’s ranking criteria are moral and spiritual. Beings allied to the forces of good are higher up in this chain, while Morgoth’s creatures, intrinsically evil in this early version of the mythology, are at the bottom. They [the Elves] are represented as having become early divided in to two, or three, varieties. 1. The Eldar who heard the summons of the Valar or Powers to pass from Middle-earth over the Sea to the West; and 2. the Lesser Elves who did not answer it. Most of the Eldar after a great march reached the Western Shores and passed over the Sea; these were the High Elves, who became immensely enhanced in powers and knowledge. But part of them in the event remained in the coast-lands of the North-west: these were the Sindar or Grey-elves. The lesser Elves hardly appear, except as part of the people of The Elf-realm; of Northern Mirkwood, and of Lórien, ruled by Eldar. Similarly, in the published Silmarillion the Avari (translated as the ‘Unwilling’) are presented to have declined the call when summoned to Valinor, ‘preferring the starlight and the wide spaces of Middle-earth to the rumour of the Trees’ (Silmarillion, p. 52) and Tolkien comments in a later letter that they ‘made their irrevocable choice, preferring Middle-earth to paradise’ (Letters, p. 198). 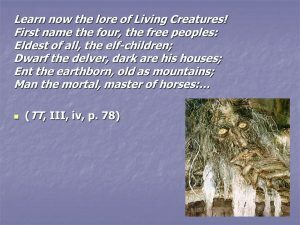 The poem recounts the ‘old lists’ that offer another evaluative classification of different Middle-earth beings from higher to lower. It is interesting to note that the criteria for Tolkien’s early ‘chain’ have slightly changed in Treebeard’s own classification: he mentions Ents quite high up in the hierarchy, but he does not include hobbits at all! The mention in ‘The Battle of the Pelennor Fields’ of ‘black men like half-trolls’ certainly sounds racist. I think I would say here that Tolkien at this point is trying to write like a medieval chronicler, and when medieval Europeans first encountered sub-Saharan Africans, they were genuinely confused about them, and rather frightened. As Tolkien pointed out in his early scholarly works, the ancient English seemed to have a belief in fire-demons, who naturally enough had skin like soot – their word for them, ‘harwan’, is related to Latin ‘carbo’, ‘soot,’ or carbon. An Anglo-Saxon meeting an African for the first time might then really wonder (for a moment, from a distance) whether this was a demon from his own mythology. This doesn’t mean that Tolkien shared the mythology, or the mistake. Tolkien’s ‘early scholarly works’ Shippey mentions refers to his two-part essay ‘Sigelwara Land’, published in Medium Aevum, in which Tolkien explores the Old English word Sigelhearwan, translated as ‘Ethiopians’. However satisfactory a response the ‘medieval’ approach offers to the thorny questions I began this lecture with, it is not enough by itself. Tolkien’s world is steeped in medieval literature and culture, but Tolkien was a man who lived mostly in the twentieth century, and who (contrary to popular mythology) was not detached from what was happening around him. 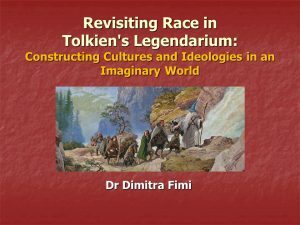 ‘Race’ was a term that changed in meaning and denotations during his lifetime, and it is important to explore its background before we can decide whether discussing ‘racism’ in Tolkien’s work is a valid topic at all, given the cultural and intellectual environment in which his works were produced. In my book (Fimi, 2008, pp. 132-35) I discussed this topic in the light of Victorian ad Edwardian ‘racial’ anthropology: its main characteristics, its ideology, its ‘scientific’ basis, two of its most important trends (Social Darwinism and the Eugenic movement) and its final collapse and discrediting around the time of World War II (see Fimi, 2008, pp. 132-135). 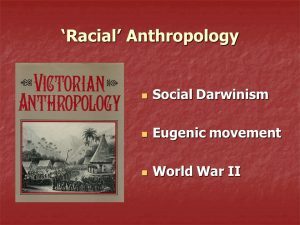 It is important to emphasise that dividing human beings into ‘races’ with fixed biological characteristics, and associating these physical traits with specific mental abilities, was considered not only natural, but also scientifically proven and supported in the nineteenth and the early twentieth centuries. It was Social Darwinism that extrapolated from Darwin’s theory of evolution and reduced its findings to the simplistic motto of ‘the survival of the fittest’. At the same time, the Eugenics’ project to encourage more ‘evolved races’ to procreate and discourage ‘less evolved’ ones was initially taken up enthusiastically by a number of scientists who were adamant that they were only speeding up a ‘natural’ process. It was not until the atrocities of World War II that scientific disagreements were brought to the fore and the scientific community declared that ‘race’ was a myth, a subject only for biology and genetics, and not anthropology and ethnology. a sudden flood of unqualified abuse upon Shakespeare, upon his filthy birthplace, his squalid surroundings, and his sordid character. He declared that to believe that so great a genius arose in such circumstances commits us to the belief that a fair-haired European infant could have a woolly-haired prognathous Papuan parent. Personally I should be inclined to refuse to give any Bestätigung [i.e. confirmation of his ‘Aryan’ origin] (although it happens that I can), and let a German translation go hang. In any case I should object strongly to any such declaration appearing in print. I do not regard the (probable) absence of all Jewish blood as necessarily honourable; and I have many Jewish friends, and should regret giving any colour to the notion that I subscribed to the wholly pernicious and unscientific race-doctrine. But if I am to understand that you are enquiring whether I am of Jewish origin, I can only reply that I regret that I appear to have no ancestors of that gifted people… the main part of my descent is… purely English… I have been accustomed, nonetheless, to regard my German name with pride, and continued to do so throughout the period of the late regrettable war, in which I served in the English army. I cannot, however, forbear to comment that if impertinent and irrelevant inquiries of this sort are to become the rule in matters of literature, then the time is not far distant when a German name will no longer be a source of pride. Anyway, I have in this War a burning private grudge… against that ruddy little ignoramus Adolf Hitler… Ruining, perverting, misapplying, and making for ever accursed, that noble northern spirit, a supreme contribution to Europe, which I have ever loved, and tried to present in its true light. Not Nordic, please! A word I personally dislike; it is associated… with racialist theories. The difference between young Tolkien’s light-hearted comments, which fall within what contemporary science would have supported, and his much more heated exclamations a few years later, when it really mattered, as he was actually asked to take a political stance to the then emerging Nazi ideology, is striking and makes for a much more informed discussion on Tolkien’s response to ‘race’. At the same time, it is important to point out that Tolkien’s own area of expertise, philology, preserved a ‘romantic’ and somewhat confusing conflation of language with ‘race’. For Victorian scientists and philologists, language was another exciting tool to research the history of the ‘human races’. 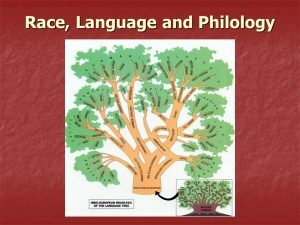 Early ethnologists like Prichard and Latham used linguistic evidence in their classification of peoples according to blood and descent and even Darwin, influenced by the philologist Franz Bopp, claimed that an accurate genealogical classification of the races of man would allow the best categorisation of the languages they spoke (Alter, 1999, pp. 30-2; see also Fimi, 2008, p. 138). Many philologists used the term ‘race’ in a loose way to refer to a group of people with a shared language and cultural identity (what we would call today national or ethnic groups), but even in these cases the term ‘race’ often retained its evaluative sense and implied a classification of different peoples, nations or cultures. For the most part [the Folk of Hador] were tall people, with flaxen or golden hair and blue-grey eyes… [and] they were akin to the Folk of Bëor, as was shown by their speech… The Elvish loremasters were of opinion that both languages were descended from one that had diverged… The language of Hador was apparently less changed and more uniform in style, whereas the language of Bëor contained many elements that were alien in character. This contrast in speech was probably connected with the observable physical differences between the two peoples. There were fair-haired men and women among the Folk of Bëor, but most of them had brown hair… and many were less fair in skin, some indeed being swarthy. Men as tall as the Folk of Hador were rare among them, and most were broader and more heavy in build… The Folk of Haleth were strangers to the other Atani, speaking an alien language. the house of Hador (described as ‘the greatest… and most beloved by the Elves’) who are ‘yellow-haired and blue-eyed for the most part’ and ‘were of greater strength and stature in body than the Elves; quick to wrath and laughter, fierce in battle, generous to friends, swift in resolve, fast in loyalty, young in heart, the Children of Ilúvatar in the youth of mankind’. the woodland folk of Haleth ‘were not so tall; their backs were broader and their legs shorter and less swift. Less fiery were their spirits; slower but more deep was the movement of their thought; their words were fewer, for they had joy in silence, wandering free in the greenwood, while the wonder of the world was new upon them’. the people of Bëor ‘were dark or brown of hair; their eyes were grey, and their faces fair to look upon; shapely they were of form, yet hardy and long-enduring. Their height was no greater than that of the Elves of that day’ and ‘they were eager of mind, cunning-handed, swift of understanding, long in memory’ but ‘short-lived’. This tripartite ‘racial’ division of the Men of the First Age according to their phenotype, stature and character, brings to mind the ‘three European races’ of William Ripley whose seminal work The Races of Europe (1899) was further popularised by Madison Grant’s very influential book The Passing of the Great Race (1916). According to Ripley there were three main ‘racial’ distinctions amongst the people of modern Europe: the Nordic, the Alpine and the Mediterranean. The Nordic race was described as tall with fair hair and blue eyes, the Mediterranean race as rather short, slender and agile, with dark hair and eyes, while the Alpine was of medium stature, stocky build and with hair and eye colour intermediate between the other two ‘races’. Grant’s elaboration of this scheme added ‘racial aptitudes’ to the three physical descriptions, portraying the Nordics as a race of ‘soldiers, sailors, adventurers, and explorers, but above all, of rulers, organizers, and aristocrats’, while the Alpines are attributed an ‘essentially peasant character’. The Mediterraneans are ‘inferior in bodily stamina’ to the other two races, but superior in the field of art (Grant, 1936, p. 228). Given Tolkien’s assertion that Middle-earth is not really an imaginary world, but an imaginary conception of Northern Europe in a very remote past (some kind of mythical ‘proto-prehistory’), then the ‘racial’ characteristics of European types have been logically transposed to the Houses of Men of Middle-earth. However, with the development of Tolkien’s mythology and the addition of the Second and Third Ages of Middle-earth, things became much more complicated, and the image of the ‘races’ of Men during the time of the plot of The Lord of the Rings is a much more complex and interesting one. [The Númenóreans] became thus in appearance, and even in powers of mind, hardly distinguishable from the Elves – but they remained mortal, even though rewarded by a triple, or more than a triple, span of years. After the Fall of Númenor, the few ‘faithful’ Númenóreans sailed to Middle-earth, where they established new kingdoms, including Gondor, and a dynastic lineage that culminates with Aragorn, son of Arathorn, the King who returns to rule at the end of The Lord of the Rings. If we consider the landscape and demographics of Middle-earth during the end of the Third Age, then – the period during which the plot of The Lord of the Rings takes place – we will find the descendants of the Men of Númenor, the descendants of the Three Houses of Men of the First Age, but also other groups of Men of different origins. In The Return of the King, there is a highly significant passage where Faramir talks to Frodo and Sam about the past history of Gondor and gives them a very clear idea of what Virginia Luling has called ‘the Gondorian theory of anthropology’ (1996, p. 54). For so we reckon Men in our lore, calling them the High, or Men of the West, which were Númenóreans; and the Middle Peoples, Men of the Twilight, such as are the Rohirrim and their kin that dwell still far in the North; and the Wild, the Men of Darkness. According to this classification, the ‘Highest’ race is indisputably the Númenóreans, proved by their enhanced bodily and intellectual characteristics. They have won this pre-eminence by being the allies of the Elves, virtually by ‘sticking to the good side’. Although their empowerment was initially related to theological or moral factors, they evolved into a superior race that stood apart from all the others. On the contrary, the Swarthy Men who fought against the Elves on the side of the evil forces remain inferior. But things are not that simple. In Faramir’s classification there is an in-between group called the ‘Middle Peoples’ or the ‘men of the Twilight’. The Rohirrim are described as belonging to that order. And – just to complicate things further – there is also another group of Men that seems to have been left out of Faramir’s anthropological classification: the Woses, or Wild Men of the Woods, who appear out of the blue to help the Rohirrim reach Gondor and assist against its siege. Now this is a good place to also bring in Tolkien’s understanding of ‘culture’ in Middle-earth, and his borrowing from real, historical cultures to construct these sub-divisions of Men in the Third Age. I am historically minded. Middle-earth is not an imaginary world . . . The theatre of my tale is this earth, the one in which we now live, but the historical period is imaginary. The essentials of that abiding place are all there (at any rate for inhabitants of N.W. Europe), so naturally it feels familiar, even if a little glorified by the enchantment of distance in time. Given this ‘European’ flavour of Middle-earth, one is not surprised to find an identification of the cultures of Men in the Third Age with actual historical European cultures. Especially when one thinks of the Rohirrim and the Men of Gondor, Tolkien has linked both ‘cultures’ – directly or by implication – to actual historical ‘cultures’ of the past. Gondor was not only compared by Tolkien to Byzantium in its period of decline, but also to Rome and the Roman Empire, as well as to ancient Egypt – especially in terms of the Gondorian obsession with death and monuments, and their custom of ‘embalming’ dead kings (Letters, pp. 157, 376, 281). I have also discussed in my book (Fimi, 2008, pp. 165-191) a number of material culture links that associate the Númenóreans (and hence their descendants, the Men of Gondor) to the Vikings, especially their prowess as mariners, and their practice of ship-burials and boar funerals. Despite these cultural references of widely disparate cultures, the main element that characterises the Men of Gondor is the fact that – towards the end of the Third Age of Middle-earth – they are a culture in decline, a culture that has reached its peak and is heading towards decay, despite the promise of hope and renewal with the return of Aragorn as the rightful king and the restoration of the royal lineage. This portrayal of the Rohirrim ties in quite well with their historical identification as a pseudo-Anglo-Saxon culture. 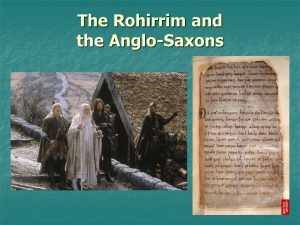 The Rohirrim are not only assigned Old English as their language and source of nomenclature, but they are also depicted as Anglo-Saxons in terms of their social values, institutions and their society. Tom Shippey has discussed the Old English resonances in the culture of Rohan, not least in terms of textual references to Beowulf and other famous Old English literature. For example, Tolkien’s description of the entrance of Gandalf, Aragorn, Gimli and Legolas into the Golden Hall of Edoras is very ‘Beowulfian’: firstly the arriving party is met by the gate guards, secondly by the door guards, then requested to leave their weapons aside before entering the hall, and finally they are challenged by the king’s counsellor – the same sequence as when Beowulf and his Men approach King Hrothgar’s hall (Treason, p. 442; Shippey 2005, p. 141; Shippey 2001, p. 94–6). However, I would like to add elements of the material culture of the Men of Rohan and their links to similar Anglo-Saxon cultural artefacts. The Rohirrim were not ‘mediaeval’, in our sense. The styles of the Bayeux Tapestry (made in England) fit them well enough, if one remembers that the kind of tennis-nets [the] soldiers seem to have on are only a clumsy conventional sign for chain-mail of small rings. The Bayeux Tapestry was initially assumed to have been produced in Normandy, but during the beginning of the nineteenth century the argument for its English origin was put forward – and has been maintained ever since, with scholarly agreement – on the basis of the stitching techniques used, the Latin spellings and letter forms in the inscriptions as well as the use of Anglo-Saxon manuscript sources for the tapestry’s illustrations (Brown, 1988, p. 33). 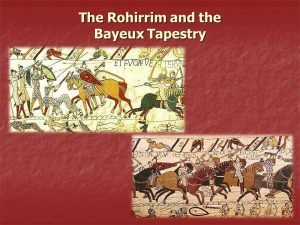 It is significant, then, that Tolkien uses the depictions of the tapestry to describe the dress and armoury of the Rohirrim, since he relies on images that are considered to be true to the material culture of the English in the Middle Ages. Significantly, the Bayeux Tapestry depicts one of the most crucial (if tragic, for Tolkien) moments of English history: the Norman invasion (the story of the last Anglo-Saxon king, Harold, Earl of Wessex, whose men were defeated by the army of William the Conqueror in 1066). Tolkien raised three specific points regarding Zimmerman’s incorrect portrayal of the material culture of the Rohirrim. The first point concerned the rooms of Théoden in Edoras. Zimmerman’s script referred to Théoden’s ‘chamber’ and later, during the scene when the Rohirrim prepare to leave for Helm’s Deep, Zimmerman wrote that ‘the chamber-room is turned into a beehive of bustling activity’. At the first occurrence of the word, Tolkien corrected ‘chamber’ to ‘hall’ and on the second he underlined the word ‘chamber-room’ and marked an ‘x’ in the right margin of the page, indicating his disagreement (Marquette, JRRT 8/1/1, pp. 31–2). It is worth mentioning that just under this second correction, Zimmerman had described Éowyn as Théoden’s daughter (rather than Théoden’s niece), but Tolkien did not respond to this obvious error, instead he payed more attention to the mistake of calling Théoden’s ‘hall’ a ‘chamber’ (Marquette, JRRT 8/1/1, p. 32)! In such a time private ‘chambers’ played no part. Théoden probably had none, unless he had a sleeping ‘bower’ in a separate small ‘outhouse’. He received guests or emissaries, seated on the dais in his royal hall. This is quite clear in the book; and the scene should be much more effective to Illustrate… Even if the king of such a people had a ‘bower’, it could not become ‘a beehive of bustling activity’!! The bustle takes place outside and in the town. What is showable of it should occur on the wide pavement before the great doors. The third and last point of Tolkien’s disagreement, which is not mentioned in the letter to his publishers, is when the slayer of the Nazgûl is revealed as Éowyn, who has followed the Riders of Rohan secretly, dressed as a man. Zimmerman wrote: ‘The knight throws back his visor and it is Éowyn, Théoden’s daughter’. Tolkien underlined the word ‘visor’ and wrote in the right margin of the page ‘it had none’ (Marquette, JRRT 8/1/1, p. 44). He – again – did not react to Éowyn being called ‘Théoden’s daughter’! In my experience feelings and decisions ripen very quickly . . . in periods of great stress, and especially under the expectation of imminent death. And I do not think that persons of high estate and breeding need all the petty fencing and approaches in matters of ‘love’. This tale does not deal with a period of ‘Courtly Love’ and its pretences; but with a culture more primitive (sc. less corrupt) and nobler. Tolkien’s insistence on the Rohirrim as a culture ‘more primitive (sc. less corrupt) and nobler’, without glass windows, visors in their armours, and private ‘chambers’, plays within a very recognisable motif: that of the ‘primitive’ as ‘purer’, ‘nobler’ and ‘incorrupt’ by the excesses of a ‘civilized’ life that has ended up being decadent and self-indulgent. The Riders of Rohan and the citizens of Gondor are portrayed as two contrasting societies. The descendants of the Númenórean civilisation, the inhabitants of the lands of Gondor have become too sophisticated and are heading towards an age of decline by the end of the Third Age of Middle-earth. To the contrary, the Rohirrim are portrayed as a younger culture, probably closer to the stereotype of Northern ‘barbarians’ than to the over-tired, southern civilisation of Númenor. In this equation, the Rohirrim are perceived as a stronger ‘race’, full of vigour and energy. 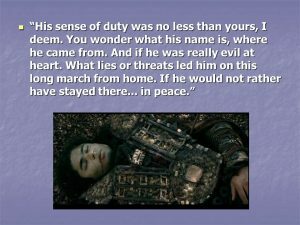 Faramir mentions them in a complimentary manner in the quotation I used earlier on; they remind him of the ‘youth of Men’. At the same time, if the Rohirrim are equated with the Anglo-Saxons, then their ancestors – the Northmen of Rhovanion who have Gothic names (Unfinished Tales, p. 311–12; Shippey 2005, pp. 17–18) – are an adaptation of the Goths, another ‘barbarian’ people admired by Tolkien and associated with a ‘nobler’ and ‘purer’ culture. In the Appendices of The Lord of the Rings Tolkien gives us a remarkable episode in the history of Gondor and its association with the ‘primitive’ but its loyal and hearty neighbouring barbarians, in which the ‘mingling’ of the line of the kings with non-Númenórean blood does not cause harm, but rather enriches it: King Valacar of Gondor married Vidumavi the daughter of the King of the Northmen. When their son, Eldacar, succeeded him to the throne ‘to the lineage of Gondor he added the fearless spirit of the Northmen’ (Return of the King, p. 1046). And talking about ‘noble’ barbarians, this is a good place to go back to a group of Men whom we see playing an active role in the War of the Ring and the fate of Middle-earth in the Third Age, but who are not included in Faramir’s account, and seem to have been forgotten by history. 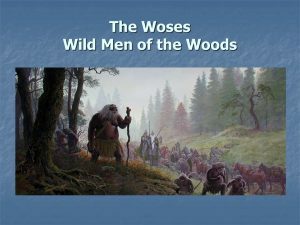 The Woses, or Wild Men of the Woods, are clearly not Númenóreans, neither can they claim the same origin as the Rohirrim. Still, they are neither hostile to Elves and Men nor allies of Sauron. This ‘race’ of Men seems to appear out of the blue to help the Rohirrim reach Gondor and help at its greatest need. They are a primitive tribe of wild men described as short-legged and fat-armed, exactly like the statues of the ‘Púkel-Men’ which the riders encounter before they meet with their leader, Ghân-buri-Ghân (Return of the King, pp. 831–2). The depiction of this ‘uncivilized’ tribe is highly reminiscent of the eighteenth-century romantic idealisation of the ‘noble savage’: a primitive man who is free, peaceful and close to nature (Gillespie, 2002, pp. 89–90; Steeves, 1973, p. 93). Ghân-buri-Ghân speaks in abrupt and grammatically liminal sentences and is dressed only with ‘grass about his waist’. He refuses to send his men to war, as he claims that: ‘we fight not’, but he offers help to the Rohirrim, declaring himself and his people as foes of the Orcs (Return of the King, pp. 831–2). At the same time, though, the portrayal of the Woses shows another commonplace idea of Victorian anthropology: the equation of the mental development of the primitive, ‘savage’ man with that of ‘civilized’ children (Stocking, 1982, p. 126). According to this view, the mental development in ‘lower’, ‘uncivilized’ races halted in early adolescence and so their character remained more automatic and instinctive. In Unfinished Tales, the Wild Men (the Drúedain, as the Elves call them) are indeed given child-like characteristics. Tolkien describes them as hairless below their eyebrows, save only a few, who were proud to have ‘a small tail of black hair in the midst of the chin’ (Unfinished Tales, pp. 377), and their laughter is rich and rolling as one would expect a child’s laughter to be. Tolkien adds that ‘in peace they often laughed at work or play when other Men might sing’ (Unfinished Tales, p. 378), which adds to their characterisation as young adolescents. Consequently the Woses are a deviation from the strict racial hierarchy of Middle-earth as I have discussed it so far. Instead of being classified as an inferior race due to their primitiveness, Tolkien seems to view them as ‘noble savages’: unlovely in appearance rather than exotically beautiful (as other ‘noble savages’ in contemporary literature are often portrayed), but still romanticized. Their primitiveness is respected rather than despised. Now, having discussed the hierarchical world of Men in the First and Third Ages of Middle-earth, one cannot help but feel the urge to return to those thorny questions I asked at the very beginning of this paper, and a persistent question – and one even fervent Tolkien fans find uncomfortable to deal with in terms of contemporary politics and ideas – is Tolkien’s portrayal of evil in Middle-earth, as represented by the Dark Men, but most significantly by the Orcs. Such intrinsically ‘evil’ creatures as goblins, orcs, gnomes, or whatever else they might be called have developed into ‘staple’ characters in modern fantasy, often viewed as an ‘easy’ way to create enemies for the main heroes to fight and lead to a large set-piece battle towards at the climax of the plot. Before Tolkien, George MacDonald used the goblins in such a way, and after Tolkien many followers and imitators adopted this premise. Nevertheless, in Tolkien’s understanding of ‘race’ – as discussed so far – anthropological and theological (or spiritual) perspectives often mix and mingle in very interesting ways. The Orcs may represent the typical villains of Middle-earth, but their origins lie in the highest ‘race’. The account of their creation in the published Silmarillion talks about some of the first Elves who were terribly afraid when Oromë came to meet them and fled. They were subsequently ensnared by Melkor and ‘by slow arts of cruelty were corrupted and enslaved’ so that the race of Orcs was made ‘in envy and mockery of the Elves’ (Silmarillion, p. 50). Tolkien seems to have emphasized the fact that the Orcs were not ‘created’ by Melkor, but rather turned into a ‘counterfeit’ of their original Elvish nature (Letters, p. 190). The issue of the ‘creation’ or ‘corruption’ of the Orcs seems to have troubled Tolkien, especially in the years after the publication of The Lord of the Rings, due to its theological and philosophical implications. The ‘solution’ of the Orcs as ‘corrupted’ forms of Elves meant that Morgoth obviously did not have the power to ‘create’ new things, which was in line with his evil nature. Only Illúvatar, God, could create new life. But on the other hand, the thought that the hideous and malicious Orcs were once Elves – the ‘highest’ beings of Middle-earth – became increasingly unbearable for Tolkien. Christopher Tolkien has edited a series of Tolkien’s essays and notes on the Orcs, dating from the late 1950s up to the late 1960s, in which Tolkien’s views wavered between different ‘solutions’ for the Orcs: sticking to his original idea of the Orcs as corrupted Elves, changing to Orcs as corrupted forms of Men or even corruptions of fallen Maia in one version. He even considered the possibility of the Orcs as automata created by Sauron with only echoic speech like parrots (see Morgoth, p. 408–24). In most versions, though, Orcs seem to be the ‘negative’ version of Elves and Men. Tolkien’s visualisation of them is especially intriguing when viewed in such a context. In all of Tolkien’s ‘legendarium’ the Orcs are hardly ever described in detail – they are only identified as evil. In The Lord of the Rings, however, there are a number of instances where their physical appearance is a bit more evident. One of the Orc chieftains in Moria is described as ‘almost man-high’ and we are told that ‘his broad flat face was swart, his eyes were like coals, and his tongue was red’ (Fellowship Of The Ring, p. 325). The ‘goblin-soldiers’ of Isengard are described as being ‘of greater stature, swart, slant-eyed, with thick legs and large hands’ and elsewhere as ‘large, swart, slant-eyed’ (Two Towers, pp. 415, 451). Finally, a glimpse of the appearance of the Orcs is also given through the description of Saruman’s half-goblin or half-Orcish Men, the result of his having ‘blended the races of Orcs and Men’ (Two Towers, p. 473). Already in Bree we meet a ‘squint-eyed southerner’, the companion of Bill Ferny, who is also described elsewhere as ‘swarthy’ and with ‘a sallow face with sly, slanting eyes’ (Fellowship Of The Ring, pp. 160, 165, 180). The same appearance is also attributed to some of Saruman’s army as seen by Merry and Pippin before the destruction of Isengard as well as to the ruffians that the hobbits have to face in ‘The Scouring of the Shire’ (Two Towers, p. 566; Return of the King, pp. 1004, 1005, 1015). The Orcs are definitely stated to be corruptions of the ‘human’ form seen in Elves and Men. They are (or were) squat, broad, flat-nosed, sallow-skinned, with wide mouths and slant eyes: in fact degraded and repulsive versions of the (to Europeans) least lovely Mongol-types. This statement is important from an anthropological point of view, as it seems to reflect popular ideas of the traditional hierarchy of the three extreme human racial types: the Caucasoid, the Mongoloid and the Negroid (Montagu, 1997, p. 50; Metraux, 1951, p. 153). In this case, Tolkien seems to identify himself with the ‘European’ race, usually associated with the Caucasoid, and chooses for his villains the physical characteristics in extreme of the so-called Mongoloid race, traditionally seen as inferior from a western European perspective. The face is flat and broad, and destitute of prominence. The cheeks are roundish, and extended laterally. The eyes are obliquely placed, and the internal canthi more than normally distant from one another . . . The lips are large and thick, with transverse fissures. The tongue is long, thick and is much roughened. The nose is small. The supposed ‘regression’ of the Down’s syndrome patients was an idea that persisted as late as 1924 when Crookshank claimed in The Mongol in our Midst that the syndrome represented regression to the characteristics of the orang-utang (1924). The identification of the Orcs with Mongols and the evocation of mental disability associated with such a term also seem to agree with a more general stereotypical attitude towards disability in society. This prejudice persists to this day in some societies and tends to view disabled people as sinister and evil (Barnes, 1992, p. 22). Tolkien needed to create a ‘species’ of beings that would represent the forces of evil and which would engage in battles and warfare with the ‘good’ side without evoking the pity of the readers – in that sense the Orcs are ideal: they are intrinsically evil, without any hope of salvation and they are full of hatred for anything good or beautiful. Tolkien’s portrayal of the Orcs concentrates on unfamiliar characteristics (note Tolkien’s comment that the Mongol characteristics are unlovely ‘to Europeans’ rather than generally), stereotypical ideas of ‘degradation’ often associated with the racial ‘other’ and with the discourse of disability. So far I discussed some aspects of Tolkien’s hierarchical invented world within the context of a possible medieval approach to his fantasy, but also via the framework of cultural history and the history of ideas during the long span of the evolution of his entire mythological corpus. I hope to have shed some light on what can be initially perceived as a contradiction between Tolkien’s vehement comments against the Nazis and the ‘pernicious race-doctrine’ he renounces from the 1930s and later, and the strict racial divisions in Middle-earth, which often show a reliance on much older understanding of anthropology. As I have argued in my book, Tolkien’s work started as a very specific ‘mode’ of writing, the construction of a mythology with some central spiritual and theological concerts at its centre, but ended with writing of a different genre: the ‘novelistic’ mode of The Lord of the Rings and later works. This transition from one ‘mode’ or genre of literary production to another, was accompanied by another transition: Tolkien is unusual, compared to many other writers, in that he developed a body of interrelated writings that shared the same setting and the same invented world for a span of over 60 years. Consequently, Middle-earth evolved together with Tolkien’s own ideas and worldviews as he aged and the world changed around him. Tolkien started his writing career very much as a late Victorian/Edwardian writer, with poems and tales of fairies and some very 19th-century ideological ‘baggage’, and ended up as a 20th-century writer with very different concerns, anxieties, and ways of understanding the world, having gone through two traumatic World Wars and having witnessed tremendous cultural changes. It is not surprising, therefore, that Middle-earth – especially when one considers Tolkien’s later, more famous writings, such as The Lord of the Rings – is a (not always consistent) mixture of medievalism, Victorian anthropology and contemporary ideas about the dangers of racial prejudice and discrimination. Indeed, at many points Elves look down upon Men as inferior, or other sub-categories of beings adopt the same approach, often with disastrous results – especially when it comes to some of the tragic stories of Middle-earth such as the tale of Beren and Lúthien, or The Children of Hurin. But let me close with some last comments on one another series of texts that have recently served as the starting point of much popular and scholarly discussion of Tolkien: the cinematic adaptation of The Lord of the Rings by Peter Jackson. It is not important to note that Jackson’s film trilogy has added a further layer of complexity (and often confusion) to readers’ interpretation of race in Tolkien’s work. Both Yatt’s and Shapiro’s headlines I used above, claiming that The Lord of the Rings is ‘rooted in racism’ are based entirely on, or are greatly influenced by, Jackson’s adaptation (Rearick, 2004). It is important to remember that film adaptations are as much a product of their own cultural moment as the original literary works they interpret were of theirs. The echoes of medieval cosmology and Victorian anthropology in Tolkien’s work have taken on a very different hue in Jackson’s post 9/11 film trilogy. Brian Rosebury has recently commented that The Lord of the Rings is, actually, “a Eurocentric work and has added hat “Jackson cannot be blamed for the fact that his heroes, as well as some of his villains, are white,” nor that the threat seems to come from the east and south of the Middle-earth map (Rosebury, 2006, p. 557). However, as visual media, Jackson’s films have accentuated the “racial otherness” of different peoples by basing their characteristics on a (sometimes haphazard) blend of non-European material cultures: as the design and production teams comment in the extended DVDs of the films, they used North African, Maori, Pacific Island, and Japanese material culture elements to portray the Easterlings and the Haradrim (Rosebury, 2006; Kim, 2004). In a period of high tension between the Eastern and the Western world, such cultural borrowings can be deemed purposefully offensive and ideological. These words reproduce nearly verbatim Sam’s inner thoughts when witnessing the same scene in The Lord of the Rings (Two Towers, p. 661). Although in the film the audience actually sees the dead face, which has quite recognizable eastern features, Sam’s thoughts that have been given to Faramir still convey Tolkien’s own thoughts about the nature of war – about the battle against other human beings, whom we sometimes demonize and dehumanize in order to be able to fight them, and about the inner battle with our own human nature, which goes against killing our kin. I, The Fellowship of the Ring (London: George Allen & Unwin, 1954 [cited here from 50th Anniversary Edition, edited by Wayne G. Hammond and Christina Scull, London: HarperCollins, 2004]). II, The Two Towers (London: George Allen & Unwin, 1954 [cited here from 50th Anniversary Edition, edited by Wayne G. Hammond and Christina Scull, London: HarperCollins, 2004]). III, The Return of the King (London: George Allen & Unwin, 1955 [cited here from 50th Anniversary Edition, edited by Wayne G. Hammond and Christina Scull, London: HarperCollins, 2004]). Marquette University, Special Collections and Archives, JRRT 8/1/1. Screen treatment of The Lord of the Rings, written by Morton Grady Zimmerman, annotated by J.R.R. Tolkien, 1957. The Silmarillion, edited by Christopher Tolkien (London: George Allen & Unwin, 1977). The Letters of J.R.R. Tolkien, edited by Humphrey Carpenter with the assistance of Christopher Tolkien (London: George Allen & Unwin, 1981). Unfinished Tales of Númenor and Middle-earth, edited by Christopher Tolkien (London: George Allen & Unwin, 1980). The Lost Road and Other Writings: Language and Legend before The Lord of the Rings, edited by Christopher Tolkien (London: HarperCollins, 1987). The Return of the Shadow, edited by Christopher Tolkien (London: HarperCollins, 1988). The Treason of Isengard: The History of The Lord of the Rings, Part Two, edited by Christopher Tolkien (London: Unwin Hyman, 1989). Morgoth’s Ring: The Later Silmarillion, Part One: The Legends of Aman, edited by Christopher Tolkien (London: HarperCollins, 1993). The Peoples of Middle-earth, edited by Christopher Tolkien (London: HarperCollins, 1996). ‘Early Qenya Fragments’, edited by Patrick Wynne and Christopher Gilson, Parma Eldalamberon, 14 (2003): 3–34. Alter, Stephen G. Darwinism and the Linguistic Image: Language, Race, and Natural Theology in the Nineteenth Century (Baltimore; London: Johns Hopkins University Press, 1999). Anonymous, ‘Debating Society’, King Edward’s School Chronicle, 26:187 (1911), 42-45. Barnes, C. Disabling Imagery and the Media: An Exploration of the Principles for Media Representations of Disabled People (Derby: The British Council of Disabled, 1992). Brown, Shirley Ann. The Bayeux Tapestry: History and Bibliography (Woodbridge, Suffolk: Boydell Press, 1988). Down, J.L., ‘Observations on an Ethnic Classification of Idiots’, London Hospital Reports, 3 (1862), 259-262. Fimi, Dimitra. Tolkien, Race and Cultural History: From Fairies to Hobbits (Basingstoke; Palgrave Macmillan, 2008). Gillespie, Gerald, ‘In Search of the Noble Savage: Some Romantic Cases’, Neohelicon, 29:1 (2002), 89-95. Grant, Madison, The Passing of the Great Race (New York: Charles Scribner’s Sons. 1936 [first published in 1916]). Kim, Sue, ‘Beyond Black and White: Race and Postmodernism in The Lord of the Rings Films’, Modern Fiction Studies, 50:4 (2004), 875-905. Luling, Virginia, ‘An Anthropologist in Middle-earth’, pp. 53-57, in Reynolds, Patricia and GoodKnight, Glen (eds), Proceedings of the J.R.R. Tolkien Centenary Conference, 1992: Proceedings of the Conference Held at Keble College, Oxford, England, 17th-24th August 1992 to Celebrate the Centenary of the Birth of Professor J.R.R. Tolkien, Incorporating the 23rd Mythopoeic Conference (Mythcon XXIII) and Oxonmoot 1992 (Milton Keynes: Tolkien Society, 1996). Metraux, A., ‘United Nations Economic and Security Council, Statement by Experts on Problems of Race’, American Anthropologist, 53:1 (1951), 142-5. Montagu, Ashley. Man’s Most Dangerous Myth: The Fallacy of Race (London: Altamira Press, 1997). Rearick, Anderson III, ‘Why Is the Only Good Orc a Dead Orc? The Dark Face of Racism Examined in Tolkien’s World’, Modern Fiction Studies, 50: 4 (2004), 861–75. Reynolds, James, and Stewart, Fiona, ‘Lord of the Rings Labelled Racist’, Scotsman, 14 December 2002. Rosebury, Brian, ‘Race in Tolkien Films’, p. 557, in Drout, Michael D.C. (ed. ), J. R. R. Tolkien Encyclopedia: Scholarship and Critical Assessment (New York: Routledge, 2006). Shippey, T.A. J.R.R. Tolkien: Author of the Century (London: HarperCollins, 2001). Shippey, Tom, ‘An Interview with Tom Shippey’, HarperCollins website, 2001. Shippey, T.A. The Road to Middle-earth: Revised Edition (London: HarperCollins, 2005). Sinex, Margaret, ‘Monsterized Saracens: Tolkien’s Haradrim, and Other Medieval “Fantasy Products”’, Tolkien Studies, 7 (2010), 175–96. Steeves, Edna L., ‘Negritude and the Noble Savage’, The Journal of Modern African Studies, 11:1 (1937), 91-104. Stocking, George W. Victorian Anthropology (New York: Free Press, 1987). Ward, O.C., ‘John Langdon Down: The Man and the Message’, Down Syndrome Research and Practice, 6:1 (1999), 19-24. Wright, David. Mental Disability in Victorian England: The Earlswood Asylum 1847-1901 (Oxford: Oxford University Press, 2001). Yatt, John, ‘Wraiths and Race’, Guardian, 2 December 2002.